The PC 600 and PC 900 CNC Pipe Cutter incorporate all of HGG’s advanced technology and expertise. Operational excellence is applied to keep costs low. Both PC 600 and PC900 comes with oxy-fuel, plasma, marking and CAD-CAM Interfaces. Equipped with both oxy fuel and plasma, the ProCutter 600–900 covers a wide variety of materials, sizes and wall thicknesses. Unique profiling shapes (e.g. 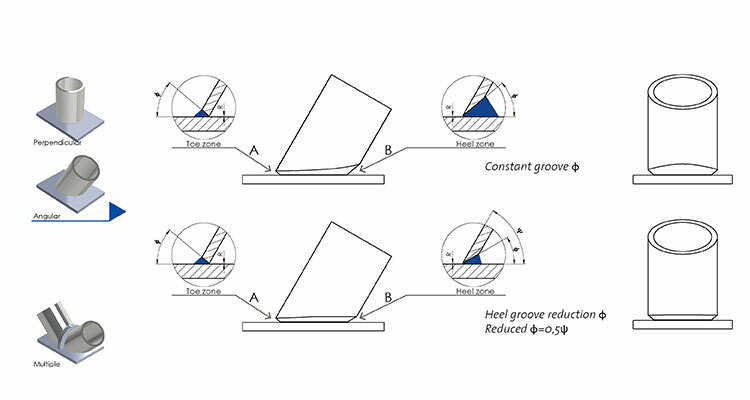 : partial joint penetration, strainer) allow constant and efficient weld preparation despite the existing plasma limitation for tilting. 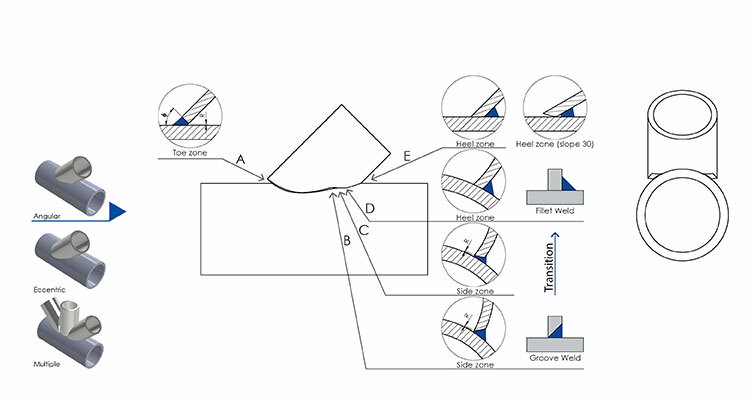 The intelligent profiling shapes will automatically switch from a groove weld preparation to a fillet weld preparation (no extreme beveling needed) once the beveling limitation is exceeded. 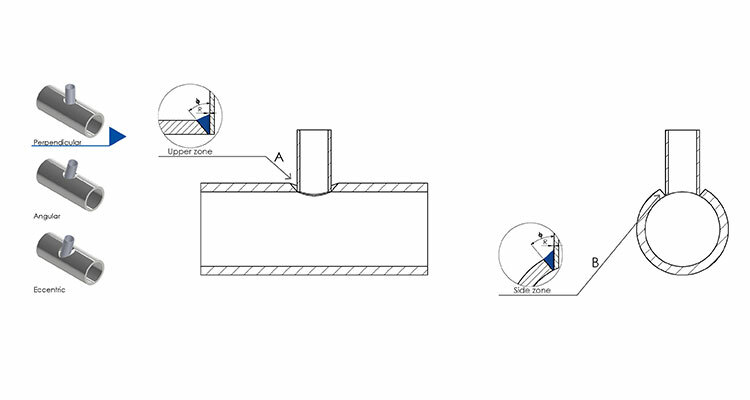 Too many welders are spending their time on laying-out cuts, manual cutting and grinding. Skilled welders are hard to find, a potential bottleneck in your fabrication process. 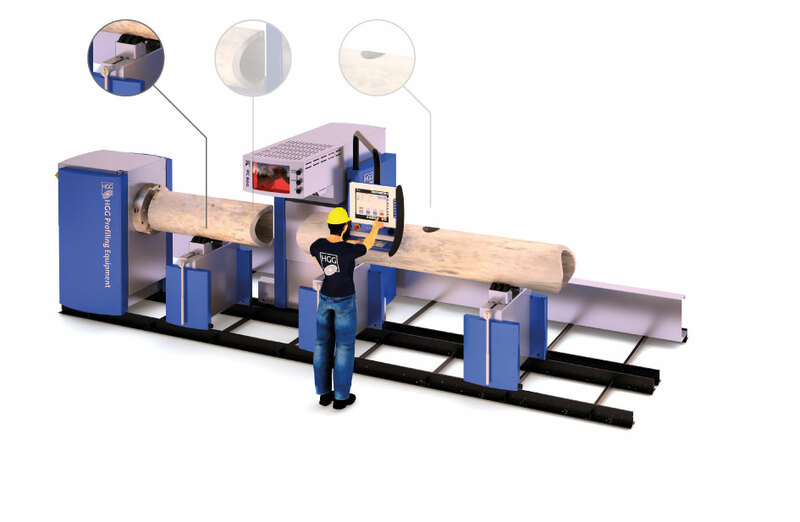 Automate the pipe cutting process, allowing welders to do what they are best at, welding. How many pipes need to be processed before you justify your investment in a plasma pipe cutting machine? The ProCutter uses HGG advanced technology, while keeping material and engineering costs low. 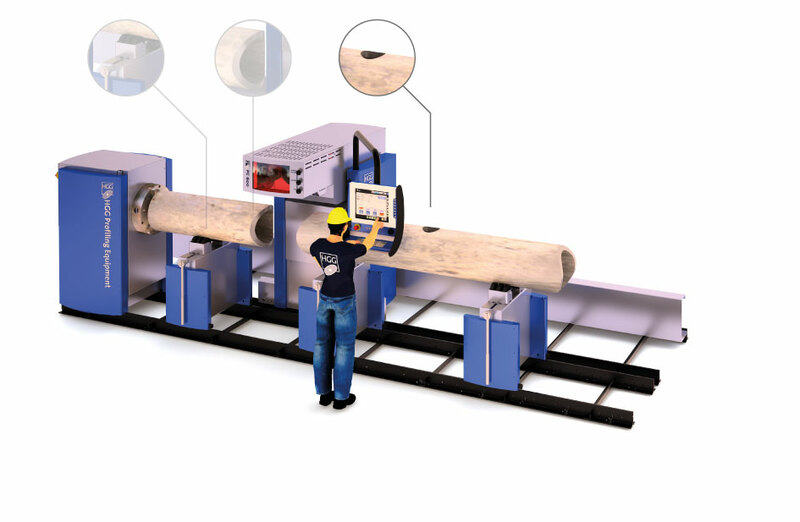 The ProCutter 600–900 accomplishes this by keeping some machine operations less automated, while maintaining material size and maximum weight within a smaller pipe range. 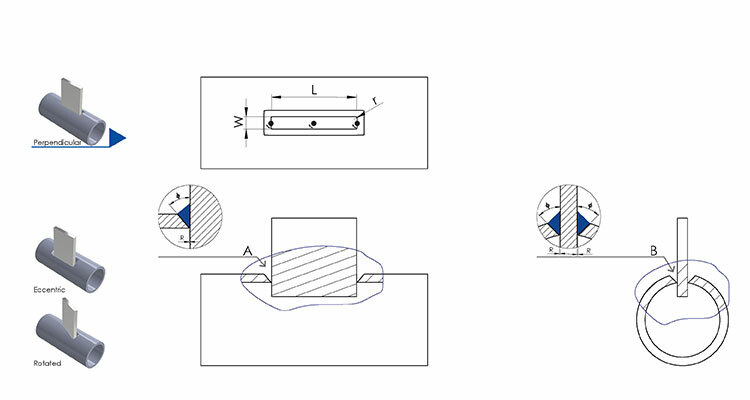 For small sloped and highly dynamic pipe-to-plate connections. Easy cutting, fitting and welding. What is your greatest worry in a fabrication process? Is it the complexity of the design, poor production flow management, inefficient material handling with too much material waste, loss of control over the operating expenses, or the lack of highly skilled welders? Then, how do you deal with the increasingly tough demands and regulations placed on welded structural design? The PC 600–900 can simplify the fitting and welding job to fabricate tubular structures. This CNC Pipe Cutter uses technology to cut pipes for easy and time saving fitting and welding of highly dynamic pipe connections. 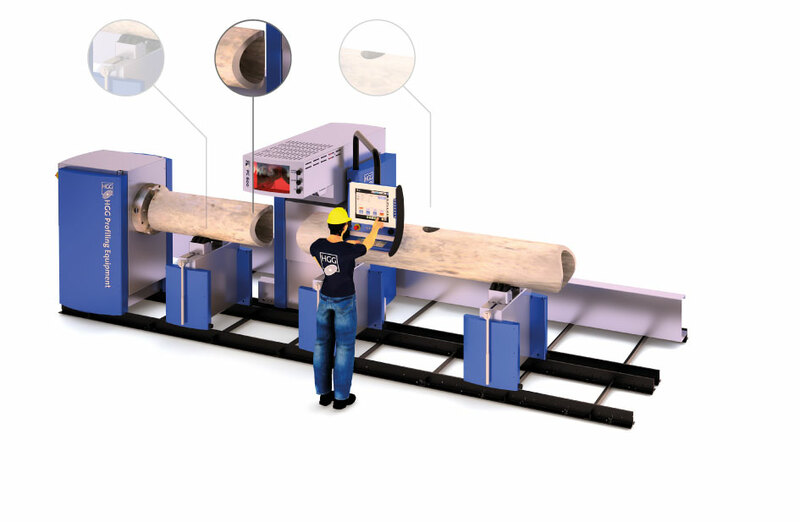 Using traditional cutting methods a fabricator can cut up to 10-20 tons of pipe per day while with the PC 600–900 CNC Pipe Cutter a fabricator can cut over 40 tons of pipes a day. The PC 600–900 CNC Pipe Cutter is simplifying the way fabricators keep their welding booths supplied with enough spools cut to tolerance, without having skilled welders wasting their time on fitting. With the PC 600–900 CNC Pipe Cutter the fabrication of a typical header with 82 beveled holes on it, which usually takes around 26 hours, was reduced to only 2 hours. Substituting manual work with automated plasma pipe cutting is an increasingly popular solution for tough project deadlines offshore. With the PC 600–900 CNC Pipe Cutter, a heli deck made of 95 pipes, which usually takes around 240 hours to be fabricated, was reduced to less than 40 hours. Industry application: Plasma pipe cutting for jackets, jack ups, heli decks, support structures, pipe racks, protection frames for subsea manifolds, boat landings. The plasma pipe cutting machine PC 600–900 is simplifying the way shipyards maintain welding booths and keeps them supplied with enough spools cut to tolerance. With the PC 600–900 CNC Pipe cutter the fabrication time for 15 nozzles, which usually takes around 13 hours, was reduced to 1 hour. Industry application: Plasma pipe cutting for skids, frames, spools, manifolds, pipe lines, headers lobster backs, boilers, nozzles. Want to know more about our CNC Pipe Cutting Machines, the ProCutter 600 or ProCutter 900?